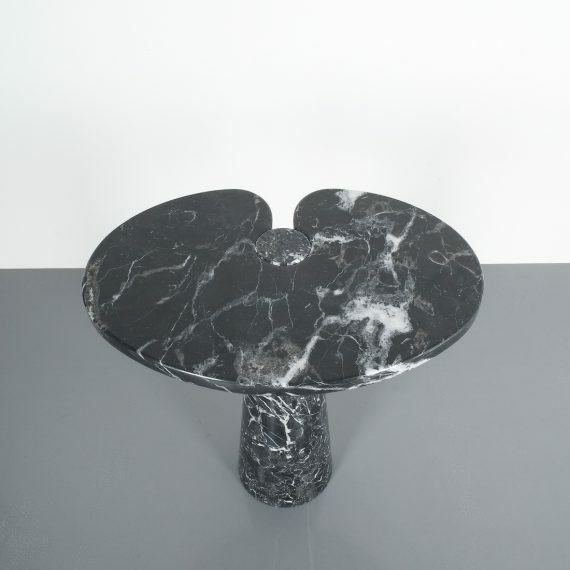 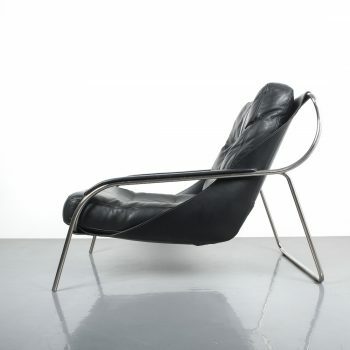 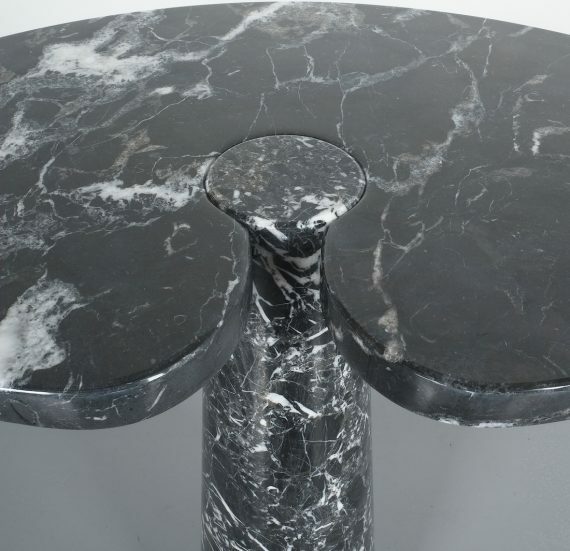 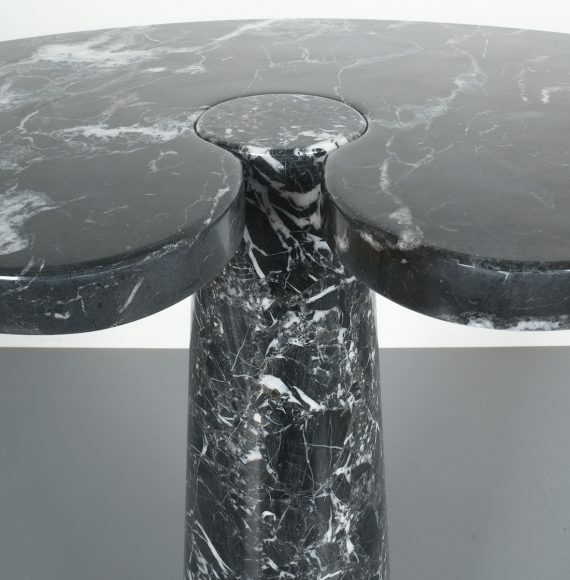 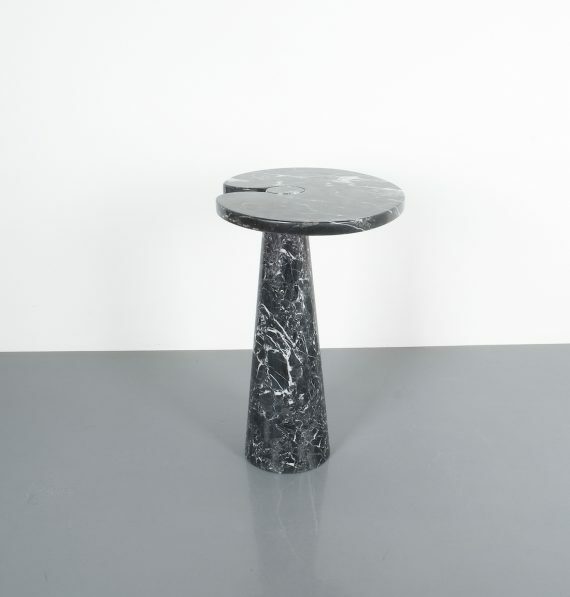 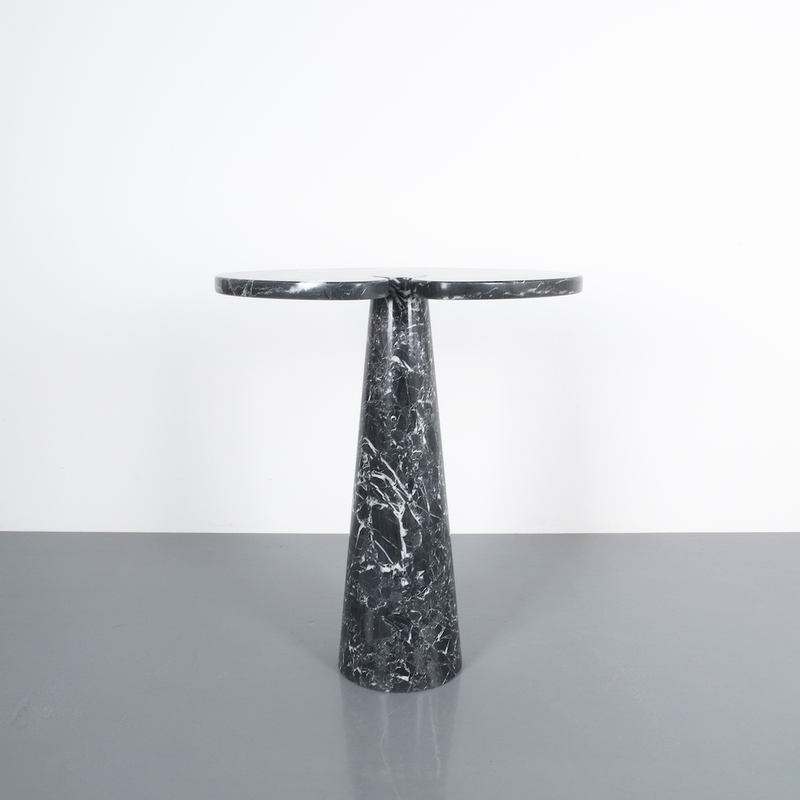 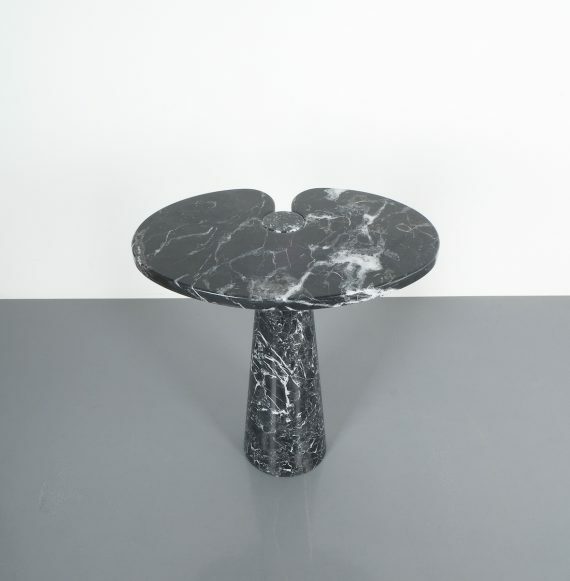 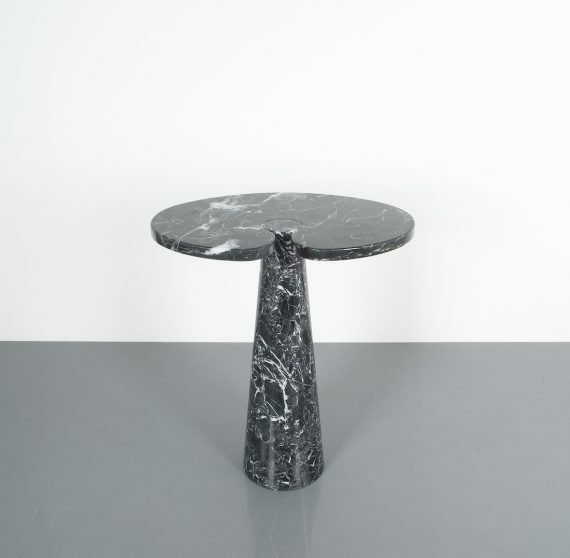 Angelo Mangiarotti tall side or center table Eros black Marquina marble, Italy, probably 1975. 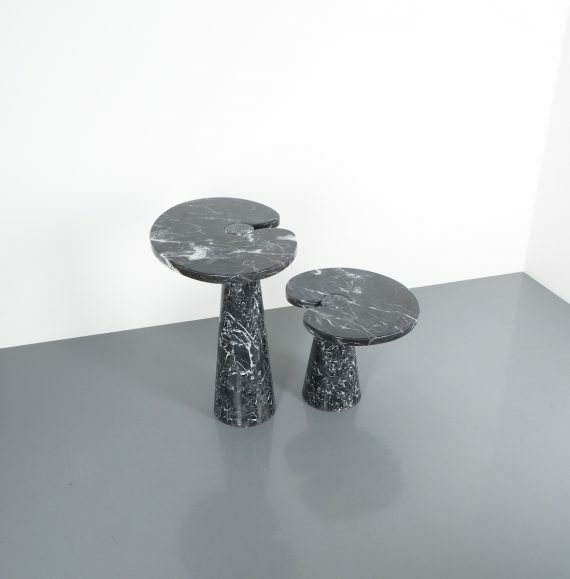 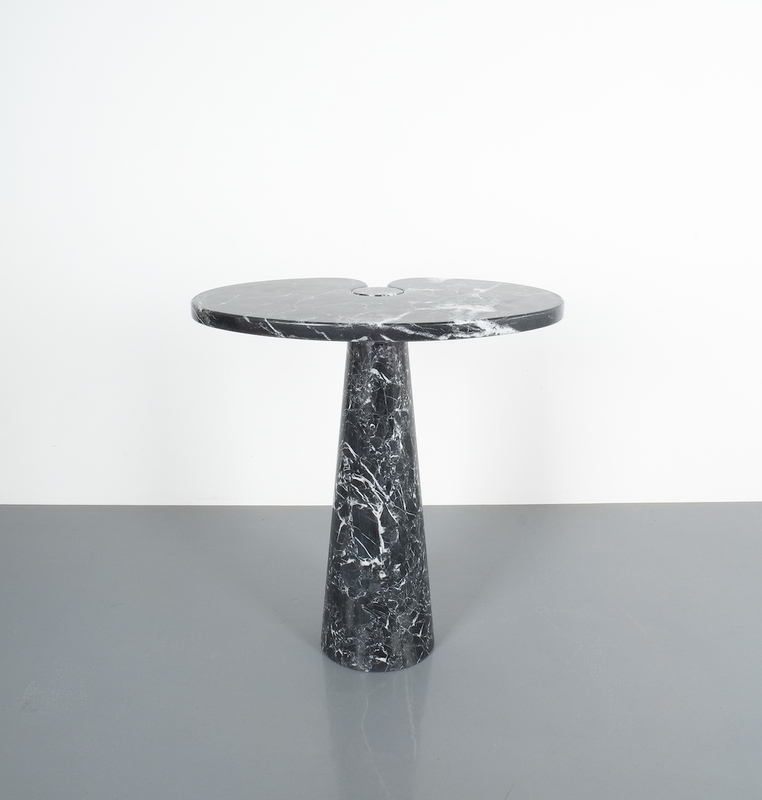 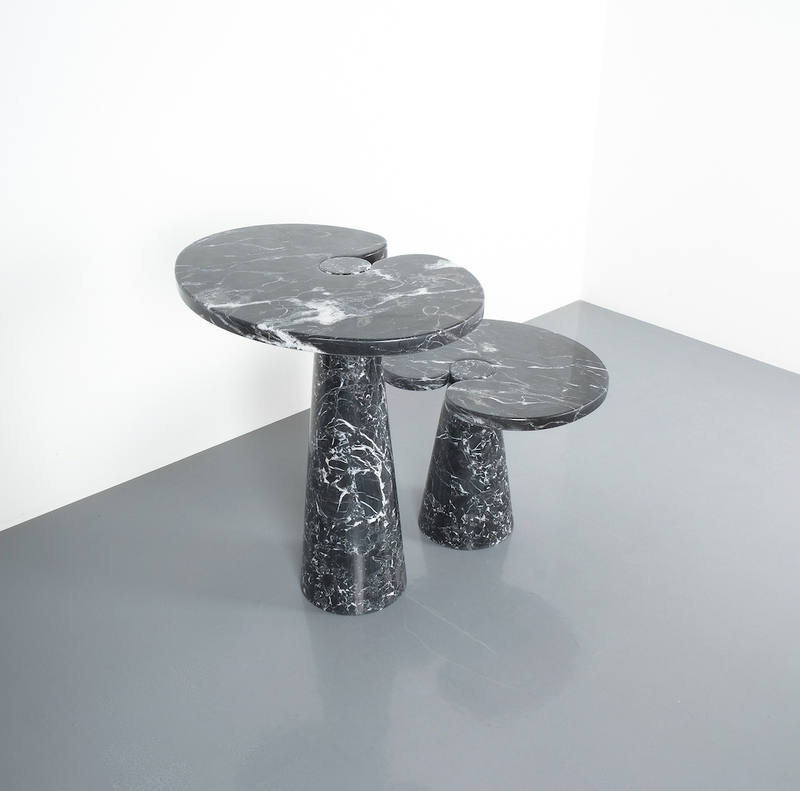 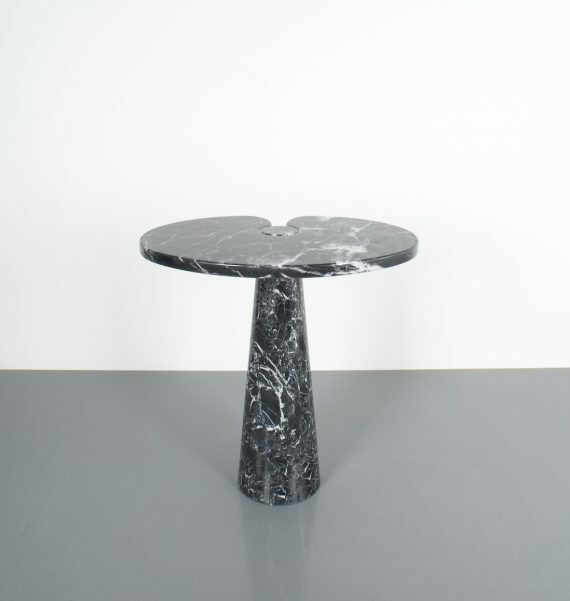 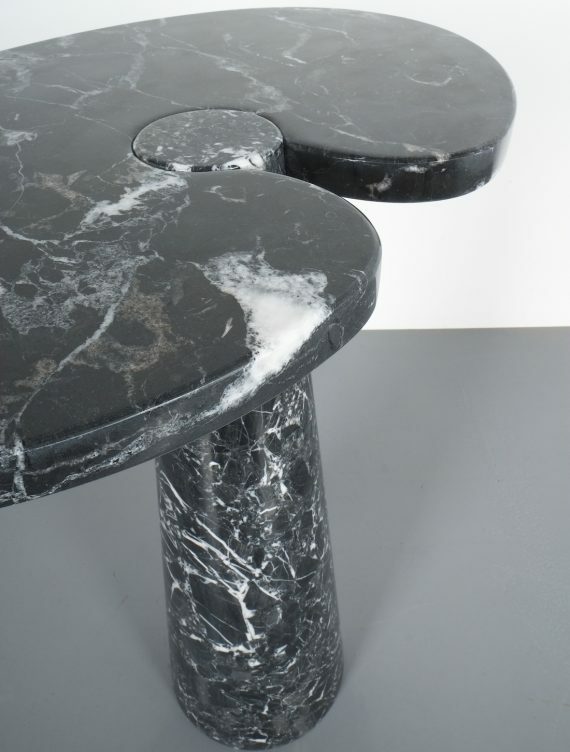 Beautifully grained black and white solid marble piece with interlocking pedestal and tabletop. 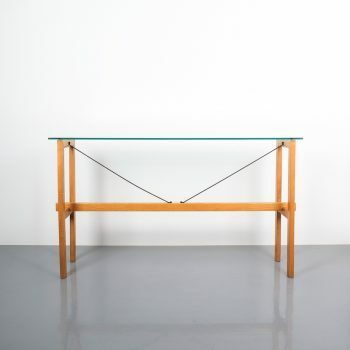 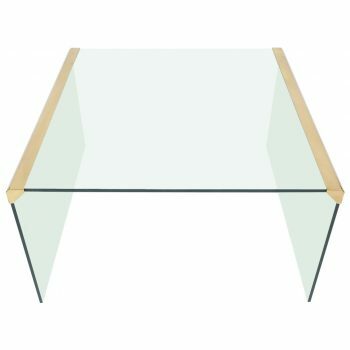 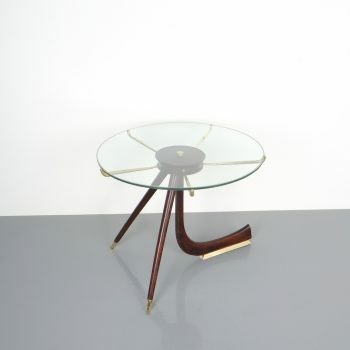 The table is in wonderful condition with hardly any wear and can be used as a center or side piece. Dimensions are: 17.9” D x 25.9” W x 28.5” H. Will be crated for shipping purposes.